Kristen Welker, the White House correspondent for NBC News, is living a pure blissful married life with her husband, John Hughes. She really waited a long time for her Mr. Perfect to come and that's why she tied the knot at an age where generally couples are already parents to one or two children. But all's well for now and Kristen is happy with her life. Today in this section, let's be up close and personal with the journalist. 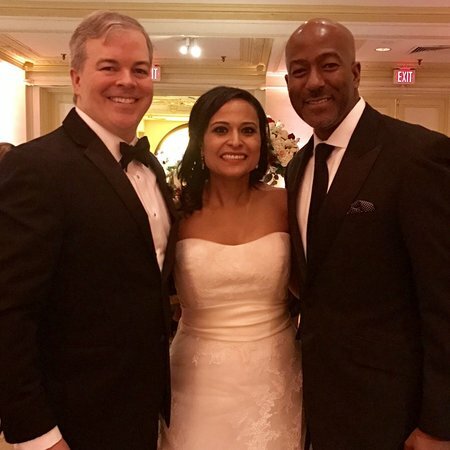 It was surely a big sigh of relief for the 41-year-old journalist as she tied the knot with the love of her life, John Hughes on March 4th, 2017, in Philadelphia. The wedding was attended by the likes of Chuck Todd, Andrea Mitchell, Kelly O’Donnell, Chris Jansing, and FNC’s Ed Henery. It was one of those big marriages where a lot of big celebrities came to give their blessing to the newlywed. Kristen, who belongs to mixed ethnicity, married a Native American man. The wedding was like a dream wedding for Kristen and she was really happy with starting a new life with her boyfriend. Now many of you might be eager to know how did the pair first met. Apparently, they first met each other through a mutual friend in 2014. "I'm 40 years old. I say that to give hope to other women who maybe haven't found The One in their 20s. So two summers ago, my best friend from high school's mother said, "I'd really like you to meet John Hughes." He is their family friend's son. I had just about given up on the idea of finding someone, but we had dinner in Philadelphia, and the rest is sort of history." Welker was so depressed when she was single in her late 30s. She could see most of her friends getting married and having babies while she was still in trouble meeting the right guy. She often wondered, "What's wrong with me?" "This happens for everyone else, but it may not happen for me." And as she said, the rest is history. From going on a romantic date together in a restaurant in the Center City on October 2014 to John proposing her during their time in Washington D.C, their relationship has been a smooth ride. Well, since then the couple is together and we can say their marriage will work out pretty well for sure. Both of them are mature and they won't divorce each other over trivial things. Born on July 1, 1976 (age 41), in Philadelphia, Pennsylvania, United States. She is the daughter of Harvey and Julie Welker. She started working at the WLNE-TV. She then joined NBC in 2005. She then became the correspondent based at the NBC News West Coast Headquarters. 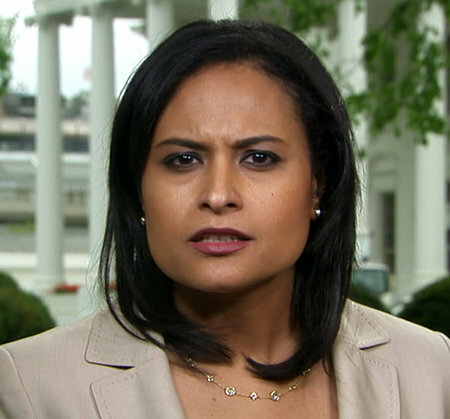 She became the White House correspondent for NBC in December 2011. Her net worth is $2.5 Million.